Nearly indestructible—the GORUCK GR2 is a maximum carry-on sized backpack that will hold up in any condition you're able to throw at it. 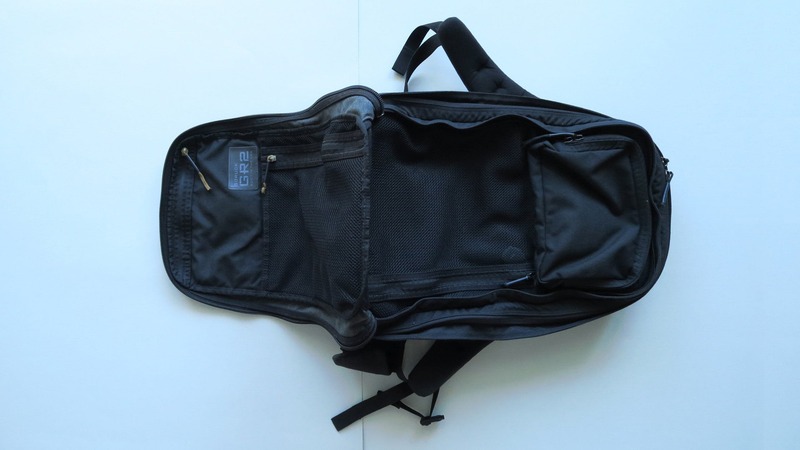 If you’re looking for a (nearly) bomb proof bag and have no problem acquiring heavier weight for a nearly indestructible bag, the GORUCK GR2 is a good option for you. If you’re looking for an even larger one, check out our thoughts on the GR3. 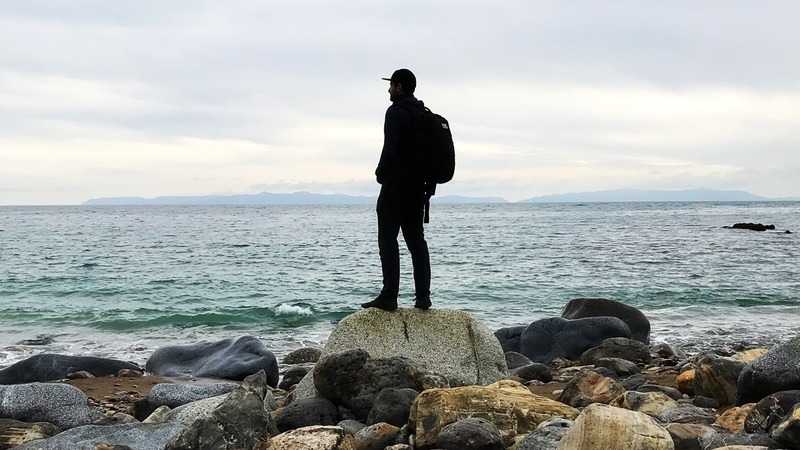 At the time of publishing this review, we’ve used and tested the GR2 every day on a permanent nomadic journey for 1.5 years – so yeah – we’ve done a little research. 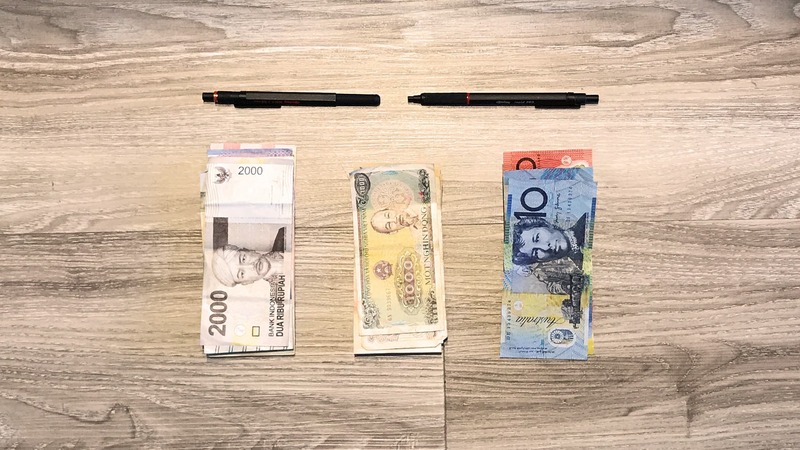 Measuring in at 12.5 x 22 x 9 inches (31.75 x 55.88 x 22.86 centimeters), this is the perfect bag to use as a single carryon—it’s about the maximum size you can get away with on most airline carriers. 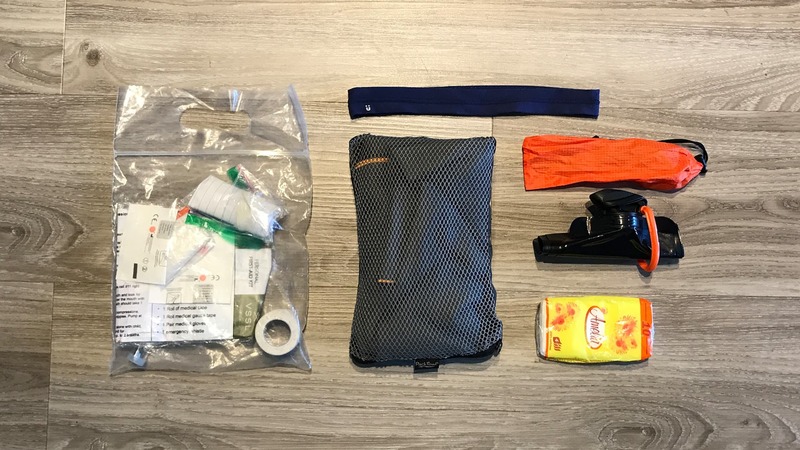 The weight may become an issue with certain airlines that have a lower weight threshold—when the GORUCK GR2 is empty, it weighs 4.75 pounds (2.15 kilograms). 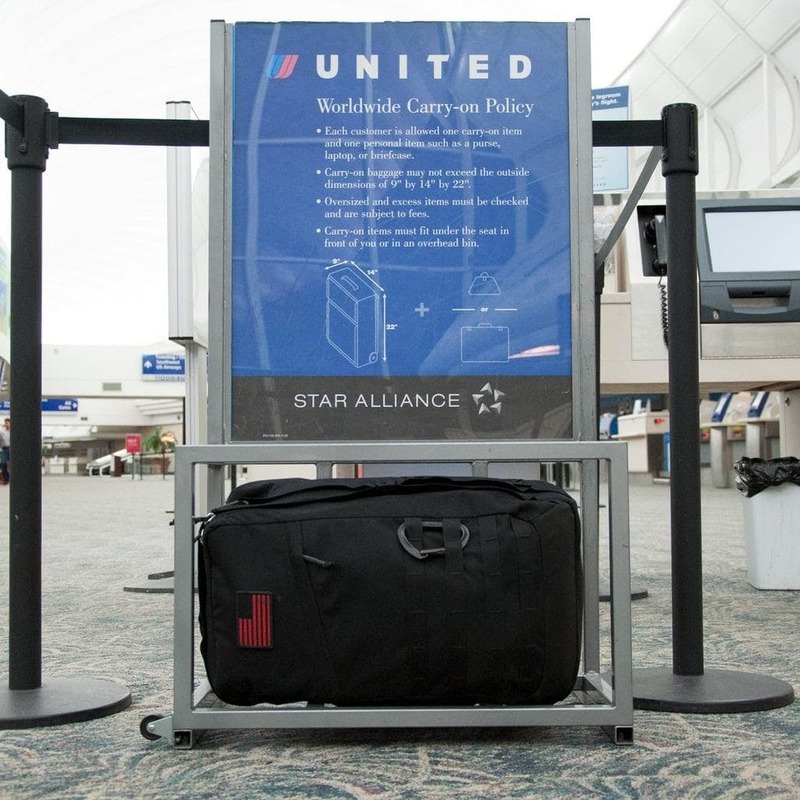 Quick Pack Hack / Pro Travel Tip: check out carryonbagsizes.com to see if your bag will be allowed to be carried on your flight—all airlines are listed there. 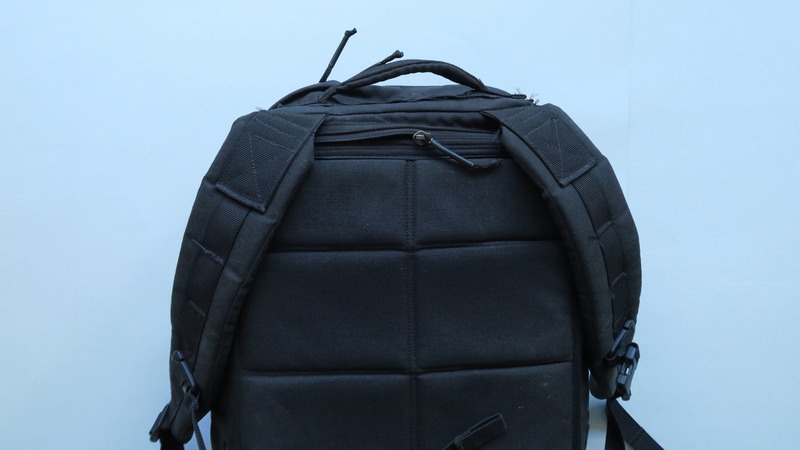 Although this bag was created by a company with an ex green beret founder, it doesn’t look too tactical, but still provides the durability you’d expect from a military-grade bag. The MOLLE on the outside is useful for adding additional accessories and the 3 x 2 inch velcro strip is good for holding morale patches – but when neither of these features are used, they sort of blend in with the rest of the bag and disappear into the black material. This bag can look a little boxy on your back, but overall has a low profile and doesn’t appear too bulky. Tom is 6”2’ and has the 40L GR2 on. 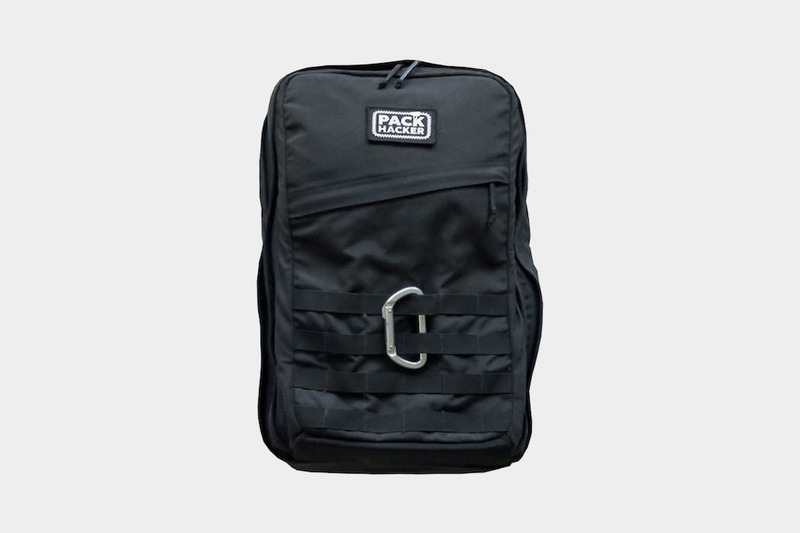 GORUCK also makes a 34L version that works well for folks who are a little shorter or looking for a smaller bag to carry. The bag isn’t waterproof, rather, water resistant. The material used is 1000D CORDURA®, which is strong, basically slash proof, and proves to be a good anti-theft feature. It would be hard to do the quick slash and grab with the way this bag is set up. All this is hard to cut through unless you’ve got a chainsaw or something. But, if someone is coming at you with a chainsaw, there are probably larger issues than not getting your bag wrecked, as in, your personal safety. Surprisingly, everything has remained pretty much intact for over a year of heavy usage. Some areas on the MOLLE have begun to fray, but that’s minor and hasn’t affected anything but the aesthetic look of the pack. Let’s do a little walkthrough of what we can find in each section of the pack. A small hole on top that leads into the laptop / water bladder compartment. 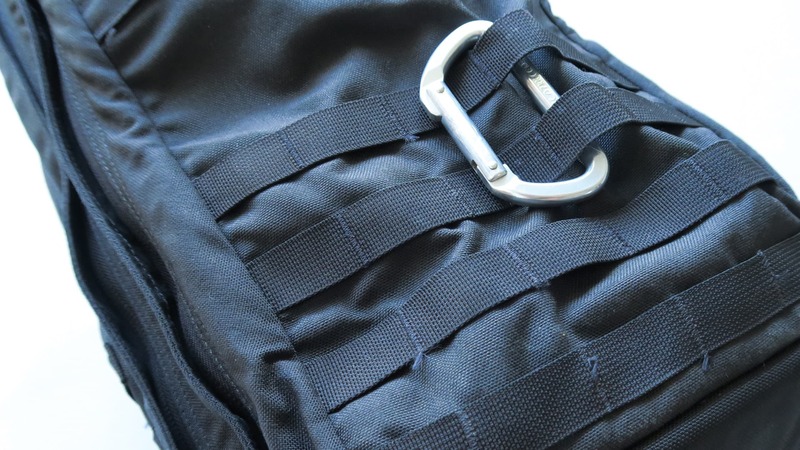 A couple rows of MOLLE webbing to clip items to or extend your bag with other MOLLE compatible accessories, including Field Pockets from GORUCK. This modular system let’s you customize the bag as you see fit. A flexible pocket where you can place documents, a laptop, or other objects that are flat in nature. 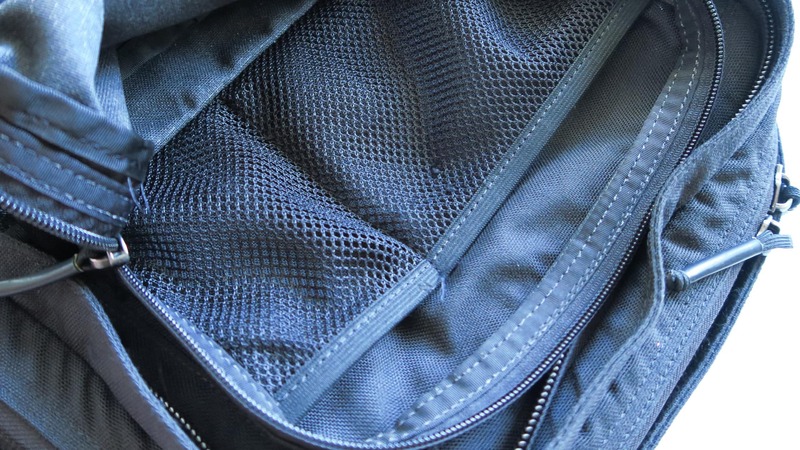 On the top part of the clamshell opening, we’ve got two mesh pockets. One is ⅔ the height of the compartment, and another is 1/3 of the height. Clothing—whether the items are in packing cubes or rolled / folded nicely. Shoes—you can toss these in the bottom of the compartment. Any documents or things that need to lay flat can be put into the elastic pocket. It’ll easily hold standard sized paper documents or a folder full of them. Generally, larger and heavier items. 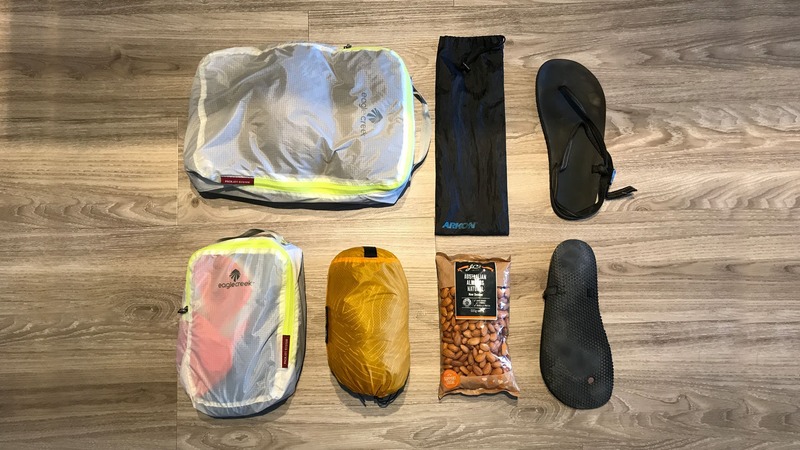 Quick Pack Hack / pro travel tip: it’s good to keep the heaviest items closest to your back, as it’s closer to your center of gravity, and will “pull” you down less. Generally, a good place for items you don’t need often. This area is great for any items that are more flat in nature. Anything bigger, and you’ll want to put in the base compartment. A large zip pouch with two mesh dividers inside. 2/3 mesh pocket at the base. On the top flap of the second compartment, we’ve got a ⅔ mesh zip compartment on the bottom, and one more 1/3 fully concealed pocket at the top. 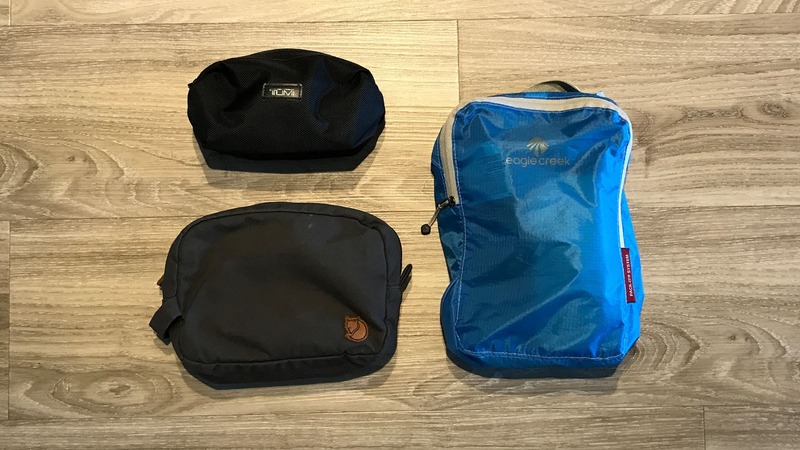 Packing cubes: these work well, considering there isn’t a lip to hold many free-floating items in place like the main compartment has. Items that are larger and won’t slide around too much. 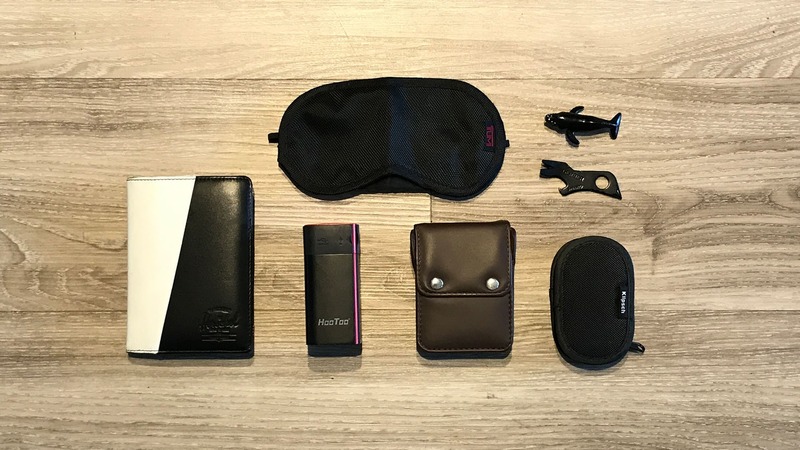 The first mesh pocket is perfect for a passport and a sleeping mask. The second mesh pocket fits a deck of cards perfectly. A couple other free-floating items can work well here too – battery pack, micro tool, earplugs, headphones, etc. Anything else you need to access often. 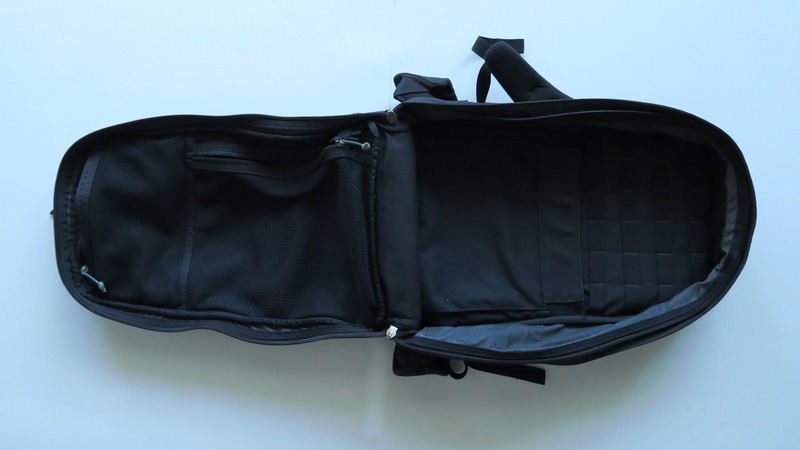 The “bomb proof” laptop and water bladder compartment is perfect for storing both. We like that it’s close to your back, and inaccessible when the bag is on keeping your goods safe. One point of caution is that it can cause damage to a laptop if you’re rough with the bag. After about 6 months of testing with the MacBook pro, some pressure marks began to develop on the screen. We’ve installed a kydex sheet to make the pocket a little more sturdy and it’s done wonders (available here). We also checked with GORUCK on whether or not the install would void the warranty. 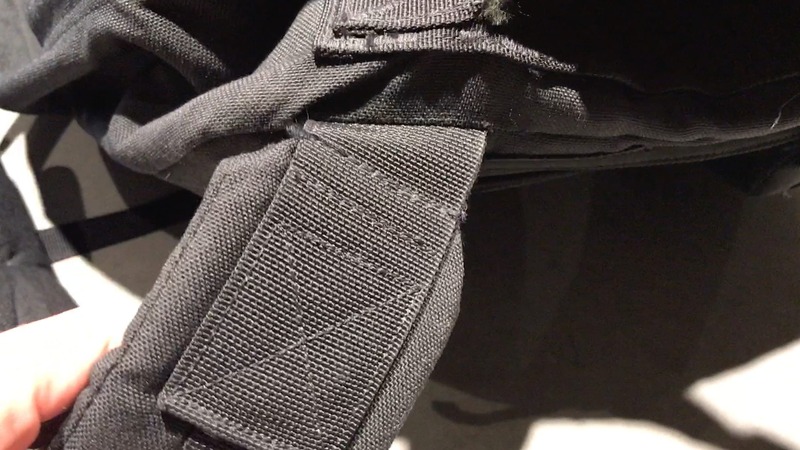 Here’s what they had to say: “This will not void the warranty but if there is any damage from the sheet to the fabric (which we have rarely, if ever seen), we may need to charge for repair since it is not a GORUCK made product. The only way that installing one of those would void the warranty outright would be if you installed one into a bag that doesn’t normally come with a frame sheet or a Rucker, which has the frame sheet sewn in.” Sounds pretty good to us. The MOLLE on the side of the bag can be used with any appropriately sized MOLLE compatible accessories. We’ve added a hip belt that helps distribute the weight of the pack nicely and keep it secure when there’s a heavier load. It’s easy to customize this bag to your specific needs. 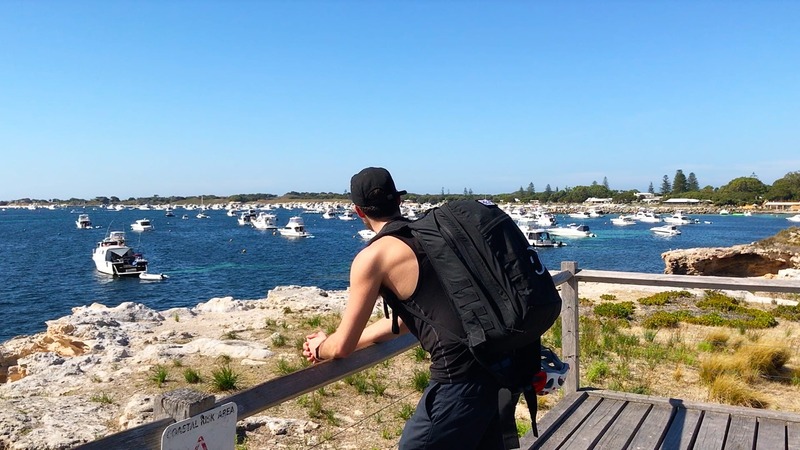 The straps on the bag are super padded – proving to be a good mix of comfort and durability. The straps are attached to the bag in a couple areas making a strong connection that’s unlikely to break. Lined with MOLLE, the straps are extendible with anything you’d like to add—whether it’s a sternum strap or a small chest pocket to hold your phone, or something else—this part of the bag is extendible too. The MOLLE on the back of the bag sort of disappears into the background when not in use, but again, allows you to extend the bag when needed. 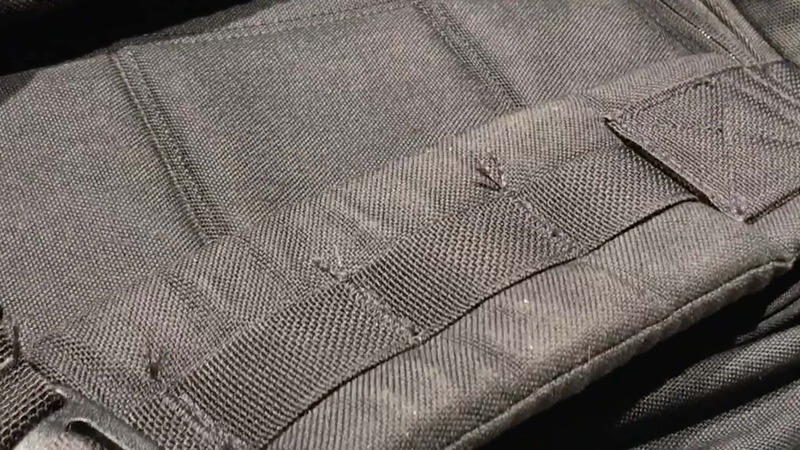 You could add a field pocket here, or any other MOLLE accessory. The false bottom is a bit of an invisible feature that works well as a shock absorber. If you’re holding a laptop or other fragile items in this pack and end up dropping it, there are two layers of padding. So, it’ll one layer of padding before full impact on the next keeping your items just a little more safe. 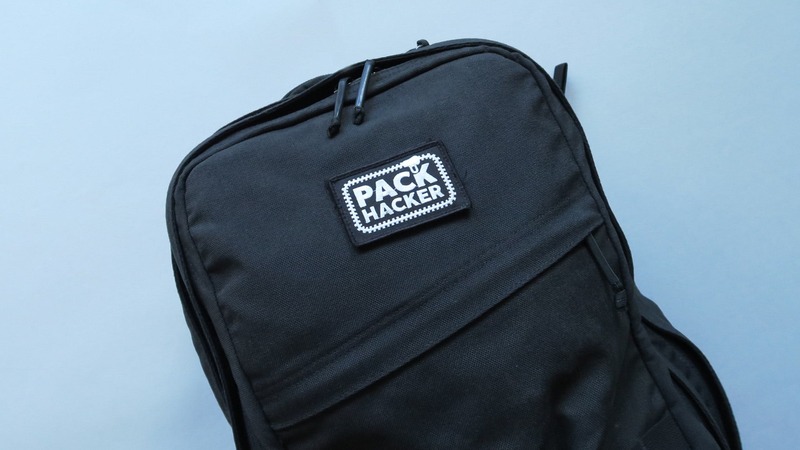 The diagonal zip pocket on the back of the bag is great for holding items you need to grab quickly, although we’ve found there isn’t much extra room when the bag is packed full. When going through airport security, it’s a perfect place to temporarily stash your phone, wallet, keys, etc. One small detail that makes this bag great are the colored heat-shrunk paracord zipper pulls. We have gold, green, and black paracord depending on the pocket. 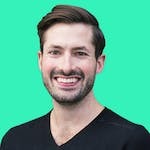 Good if you’re trying to create a mental model of what goes where in the pack – meaning, if you associate hygiene with the color gold then you’d place all or hygiene items inside of the gold zipper compartment. Full disclosure: you can live with this bag as a single backpack. Unfortunately, not inside of it. This thing is a tank! Looking good out of the box. Still working and looking great. Has made it on a couple test flights with no issue. Can even fit the bag under the seat. Holding up well. Was in a light rain for three hours on a hike. Inside items were still dry. Noticed the color is starting to fade slightly and some of the thread on the molle is fraying. Despite those minor changes, the bag is as good as new. Another 6 months and the GORUCK GR2 is still holding strong. Pro Tip: If you’re got a couple of loose threads hanging off the pack, carefully take a lighter to them and they’ll quickly dissipate. Don’t get too close to the main pack material though! Nearly indestructible / bomb proof. Just about the largest size you can go for a carryon backpack that will fit under your seat. MOLLE webbing makes everything extendible and customizable. Lifetime warranty with the GORUCK Scars Guarantee. Very heavy, weighing 4.75 pounds (2.15 kilograms) without anything in it. Laptop can become damaged in the compartment if you're not careful. We've installed a Kydex Mod that's worked wonders. The GR2 is heavy, but with that heaviness comes the nearly indestructible durability we’ve come to love when GORUCK is involved. If you’re planning on extended travel, this is a good option because it’s unlikely to break. Ever. From the hot desert, to a cold Minnesota winter, to the bustling streets of New York City, to the rainy season in Vietnam, this bag has held up well through thick and thin. We’d certainly recommend this backpack.